Indiana Jones and the Rising Sun RPG Book is a supplement for the Indiana Jones Roleplaying Game. It requires the Masterbook and The World of Indiana Jones book. Japan, the 1930's: A place of danger, mystery and adventure. Hidden temples house mysterious artifacts, ancient beliefs clash with modern culture, and dark forces prepare to plunge the island nation into war. Travel to this strange and exotic land and learn its many secrets. Confront the power of the military; delve into the puzzles of the priesthood; and then enter the twilight world of the Japanese occult. 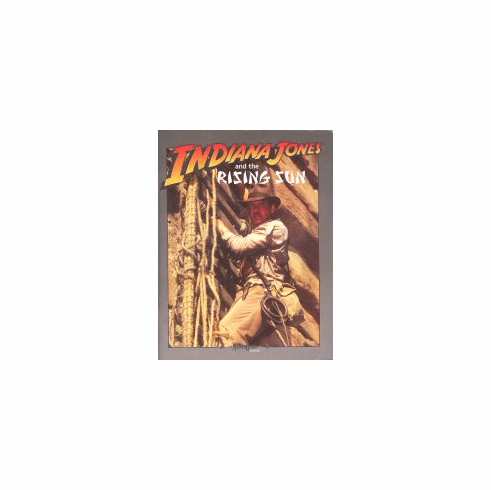 Indiana Jones and the Rising Sun features tips of gamemastering in the World of Indiana Jones; the gamemaster screen; source material and adventure hooks for playing in Japan of the '30s; and a short adventure, 'Indiana Jones and the Masamune Blade.